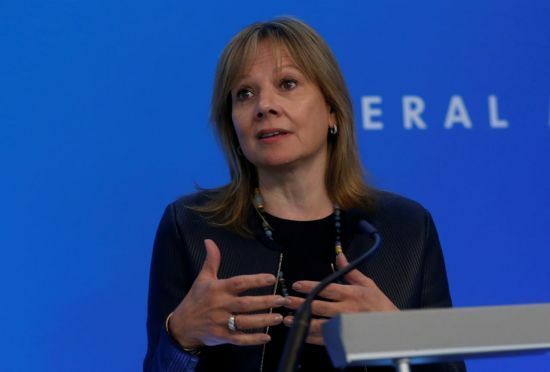 General Motors CEO Mary Barra is planning a visit to South Korea soon to meet with stakeholders, a response to controversy over the US auto giant’s decision to spin off its research and development center as an independent entity. In a letter addressed to the carmaker’s labor union last week in response to its request for a meeting, Barra reiterated the significance of the spinoff and the carmaker’s long-term commitment to its operations in Korea. “With regard to General Motors’ long-term plans, we have repeatedly expressed our desire to create a strong, viable and globally competitive GM Korea,” Barra said in the letter, also mentioning the company’s $6.4 billion investment here. She added that the new company might be allocated additional projects. GM Korea’s board members approved the establishment of “GM Technical Center Korea” in a vote earlier this month. The spinoff vote was held despite the absence of representatives of the Korea Development Bank, who were widely expected to vote against the move. But their objections would not necessarily have changed the outcome, as this case did not fall under one of 17 stipulated in the agreement between the carmaker and KDB this past April where KDB holds veto rights. KDB is GM Korea’s second-biggest shareholder. The letter met with mixed reactions from GM Korea’s labor union, whose members expressed both disappointment in Barra’s views and high hopes for her visit. “Differing from the union’s demand and expectations, the letter does not contain substantial information but simply states that the company will do well,” the union said. Leaders of GM Korea’s labor union staged a four-day rotating sit-in strike in front of the presidential Blue House in Seoul last week, after the National Labor Relations Commission refused to approve a strike. Meanwhile, at the parliamentary audit on Monday afternoon, representatives homed in on GM Korea’s plans to utilize its plant in Gunsan, North Jeolla Province, and on the carmaker’s long-term commitment here. He added that the demerger was proposed to the board July 19 and that four meetings had taken place prior to the spinoff vote, giving shareholders and the board sufficient time to review the move.